Beginning in 2013, all program coaches will hold current First Aid and CPR certifications. Beginning in 2013, all program coaches will be subject to a criminal background check which will remain valid for 3 years. 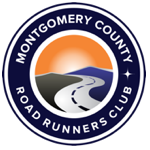 Participants are to be instructed on group running safety requirements, including (1) staying together as a group, especially after a water stop (2) notifications within group of illness and/or fallback, and (3) prompt relay of illness or fallback information to a coach or pace group leader. Participants will be instructed on proper hydration and water stops will be set up on long runs as determined by the Program Director. Each coach will carry a cell phone on group long runs. Any medical situation of a non-emergency nature should be called in by a coach to the Program Director and one other coach or pace group leader. Emergency medical situations will be immediately called in to 911, stating the condition of the participant and location information. After calling 911, the caller should report the incident to a pace coach or Program Director. If a participant decides to diverge from the planned group run, especially on long training runs, then a coach or Program Director should be alerted. Each coach will assure that all participants finish group runs or are otherwise accounted for. A group run will be immediately canceled at the first sign of lightning and participants will be instructed to find safety or immediately return to vehicles. A run may be cancelled in advance if a lightning storm is predicted in the vicinity of the run. A Program Director may cancel a group run based on predicted high temperatures, poor air quality, or other treacherous conditions such as snow, wind, ice or rain. We will stay in our groups, there will be no individual runners (we will use buddy system on each trail run, and you will be responsible for each other). The Program Director has the right to cancel any run based on treacherous weather conditions including snow, wind, ice or rain (driving and or running). All Runners will check in with the Program Director for each run, and check out with the same coach when completed. At least one member of each buddy group will carry a cell phone with him/her. The coaches will do the same. The phone numbers of the coaches are for use during our group runs only. Call if ill, lost, injured, or unable to maintain pace with your group.